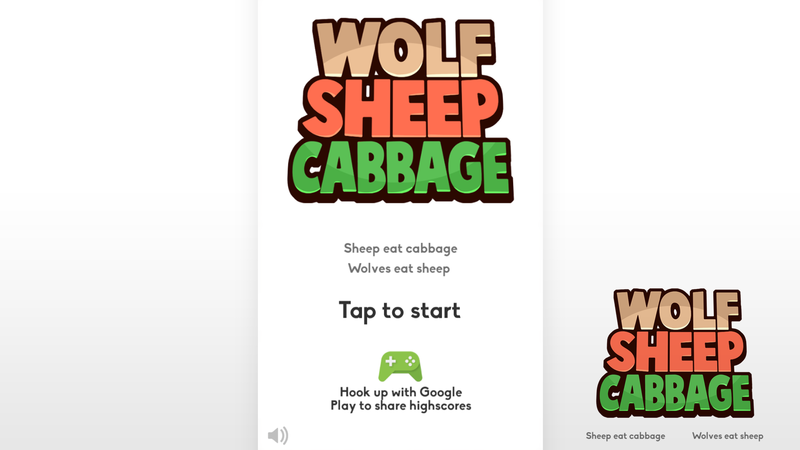 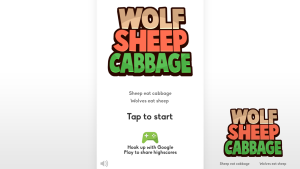 Sheep eat cabbage, wolves eat sheep. 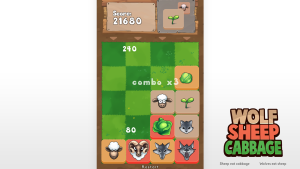 Feed the blocks to gain score, and avoid filling up the entire game field. 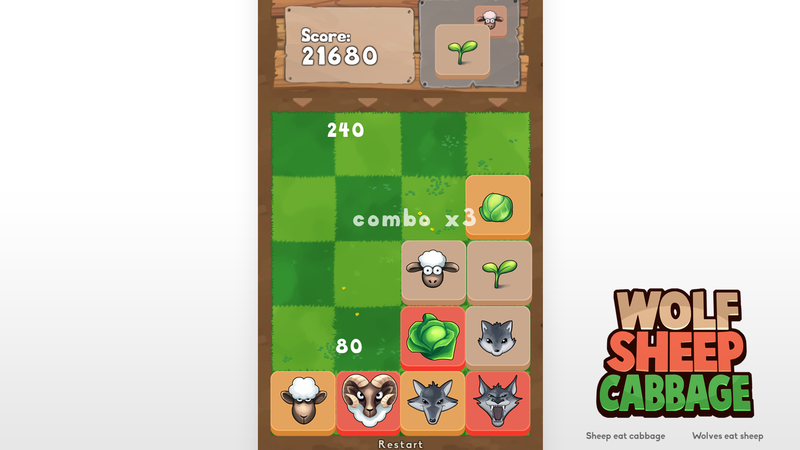 Blocks can only eat other blocks that are on the same stage (white/yellow/red), and they will evolve to the next stage when they eat. 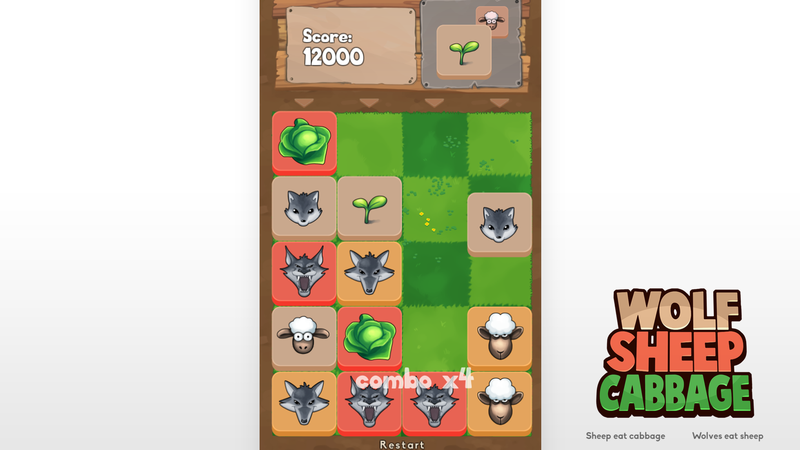 Cabbages, which can’t eat anything, will grow to the next stage spontaneously after each round. 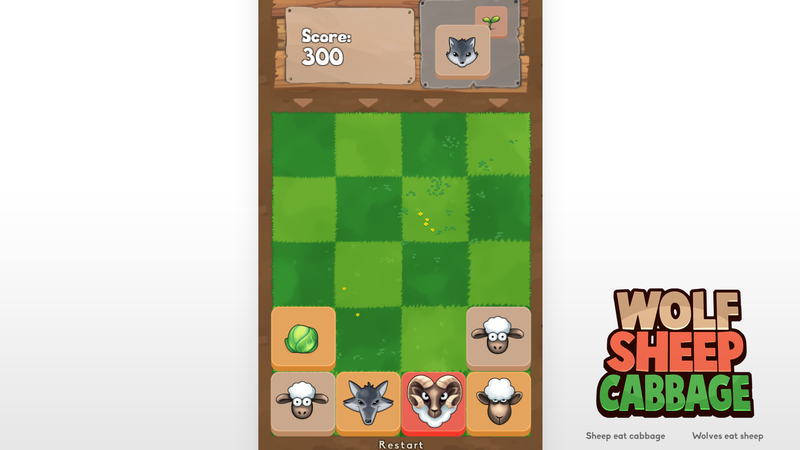 Wolves, which can’t be eaten by anything, will leave the game field after having eaten at least one sheep on stage 3 (red). 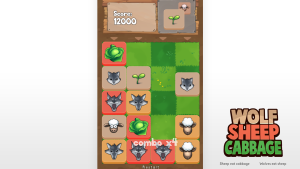 How high score can you get before you have locked the entire game field up with blocks that won’t combine?